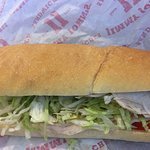 There aren't enough food, service, value or atmosphere ratings for Jimmy John's, South Dakota yet. Be one of the first to write a review! The bags are too small for the sandwiches. One of the best sandwiches and fresh bread I've eaten in a long time! 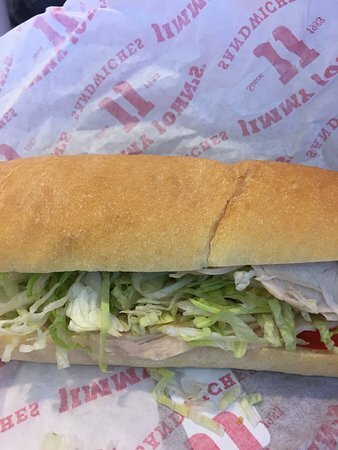 The sandwich is made fresh according to your personal likings. Service is always friendly and with a smile. I'm not a big fan of cold sandwiches. I wish they had a panini stile option. Lettuce and tomatoes were really fresh and the place was really clean though.